We’re on location again. This time we’re in the Tap Room at Fox River Brewing Company in Oshkosh. 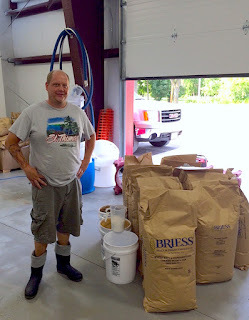 Kevin Bowen, brewmaster at Fox River, joins us. We drink Cluster Bomb Rye IPA and talk about all that’s going on at Fox River Brewing these days. 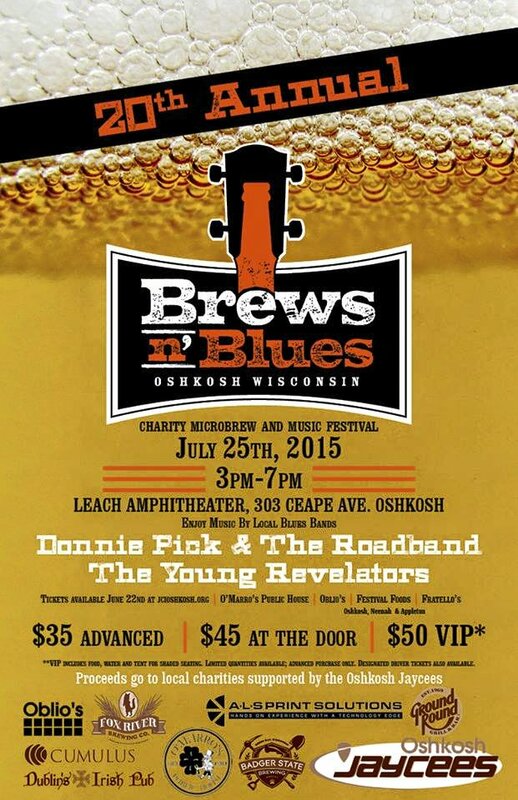 The Oshkosh Jaycees’ 20th Annual Brews n’ Blues is this Saturday, July 25, at the Leach Amphitheater in Oshkosh. The beer and music fest will run from 3-7 p.m. Tickets are $35 in advance or $45 at the door. 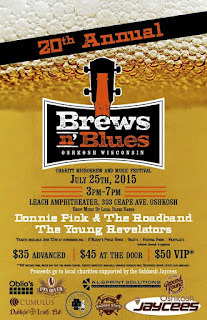 Tickets are available in Oshkosh at Festival Foods, Fox River Brewing, Oblios, and O'Marro's Public House. You can also purchase tickets online. The full beer list is down below, but first let’s take a look at a few other things in store for this year’s Brews n’ Blues. And that would be Blues, of course. Donnie Pick & the Roadband, and The Young Revelators will be playing throughout the day. O'Marro's Public House will host a VIP tent that includes a catered meal and private tasting area. The other benefits of the general admission tickets are also included. The VIP ticket is $50. The Central Wisconsin Auto Collectors Club will be have vintage automobiles on display on the fest grounds. Let’s get to the important stuff... beer. Well over 100 different beers (as well as some cider, wine & spirits) will be served, but there are a couple of spots you might want to hit early. 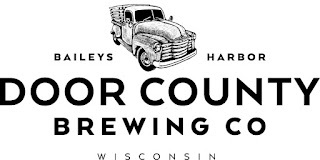 Ian Wenger and Zach Clark will be on hand sharing a first taste of some of the beers they’re working up for the new brewery they’re planning for Oshkosh. More on 5th Ward here. Lots of homebrew again this year. If you’ve been to Brews n’ Blues over the last few years, you’ve noticed that Wisconsin homebrewers bring it strong to this fest. 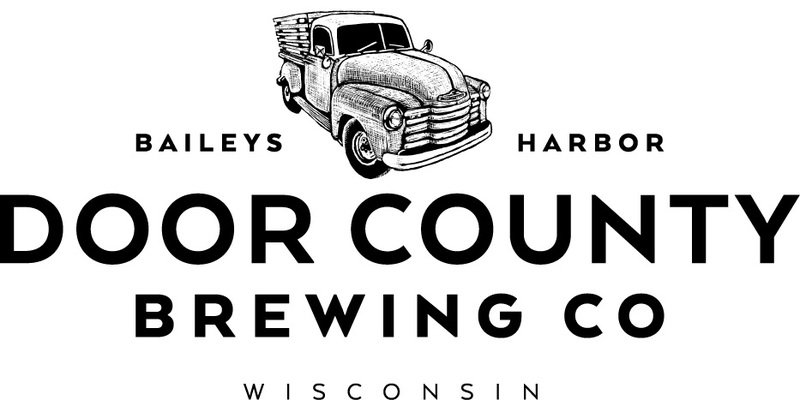 There will four homebrew clubs pouring more than 25 of their beers. This is where the action tends to be as the fest gathers steam. Here’s the 6th edition of our weekly slurp and yap. This time, we’re guzzling Bare Bottom Madness, an American pale ale brewed by Door County Brewing Co. of Baileys Harbor, WI. 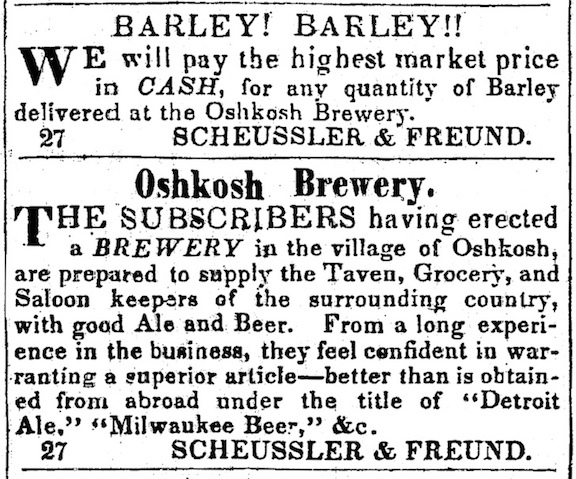 Since 1995, people around here have referred to Oshkosh’s brewpub simply as Fratellos. I imagine it will take a while for that to change. But the fact is, Fratellos in Oshkosh is no more. Over the past week, the Fratellos signage was been removed from the building that houses the restaurant and Fox River Brewing Company. Also gone are the signs for the Fieldhouse, the taproom connected to the brewery and restaurant. The entire complex has been rebranded as the Fox River Brewing Company Tap Room Restaurant & Brewery. Here’s what you used to see as you approached the building. Here’s what you’ll see now. The rebranding makes sense. Over the past year, there’s been a significant re-emphasis on the brewery side of the operation. With a distribution agreement signed last year and a new bottling line squeezed into Fox River’s Appleton location, the brewery is more visible now than it has been since the late 1990s, when it was self-distributing its beer. Here’s an example of the heightened profile. This sign is over the doorway into the liquor department cooler at Festival Foods in Oshkosh. It’s good to see a local, independent brewery getting the prime spot among the products of big breweries. 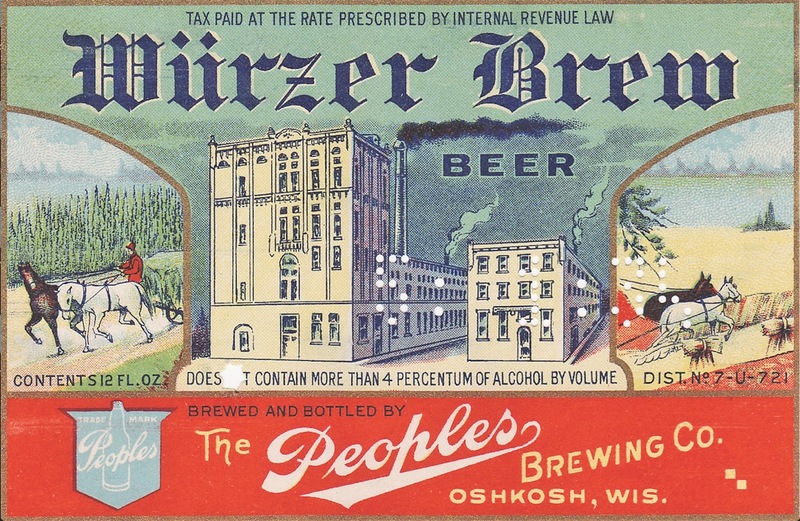 Driving much of this has been the success of BLÜ Bobber, Fox River’s blueberry fruit beer. 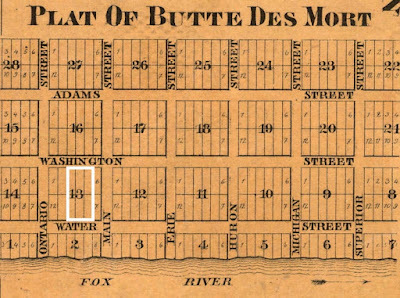 BLÜ is currently being sold in numerous stores and taverns in Oshkosh. 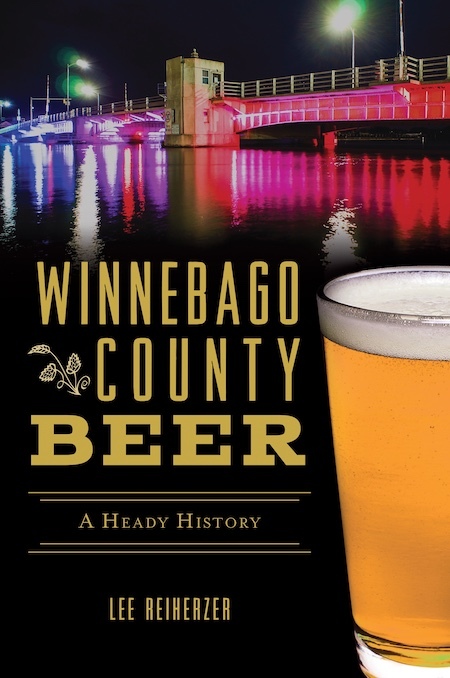 It appears the beer is doing particularly well in Northern Wisconsin. Last week, I ran into Kevin Bowen, Fox River’s brewmaster. “BLÜ is on fire,” Bowen said. “We’re maxed out.” Jay Supple, CEO at Supple Group which operates Fox River Brewing, said the same when I spoke with him. Supple indicated that he’s looking into expanding the capacity of the brewery. Fox River’s numbers for the first quarter of this year back up their optimism. Through the first four months of 2015 Fox River has sold 446 barrels of beer. That’s 100 barrels more than the brewery had sold at this same point last year; an increase of nearly 30 per cent. It will be interesting to see where this leads. 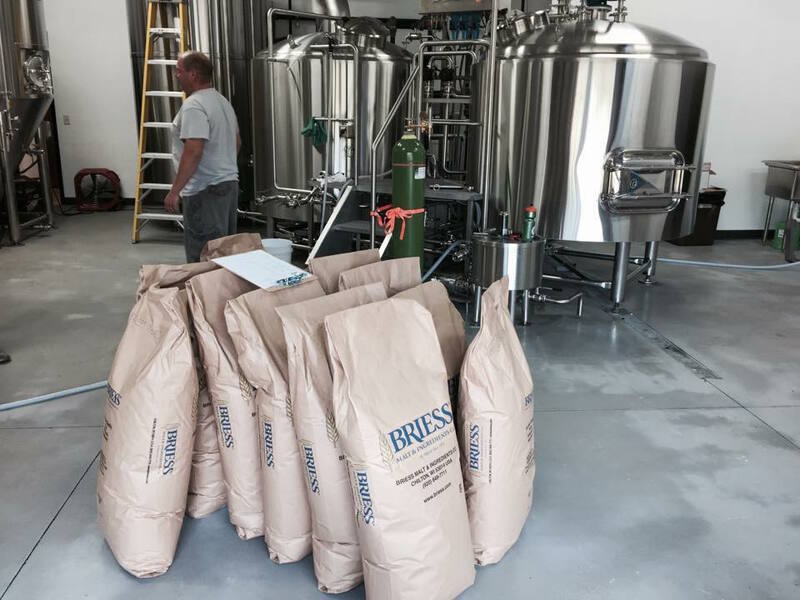 With the growth at Fox River and the arrival of Bare Bones Brewery, we’re witnessing the brewing industry come back to life in Oshkosh. I’m betting, this is just the beginning of the story. 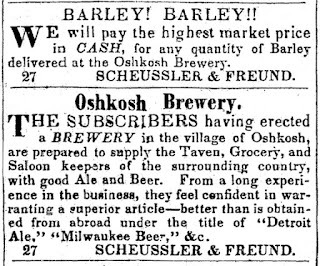 This Wednesday marks the 150th anniversary of the founding of the Rahr Brewing Company of Oshkosh. 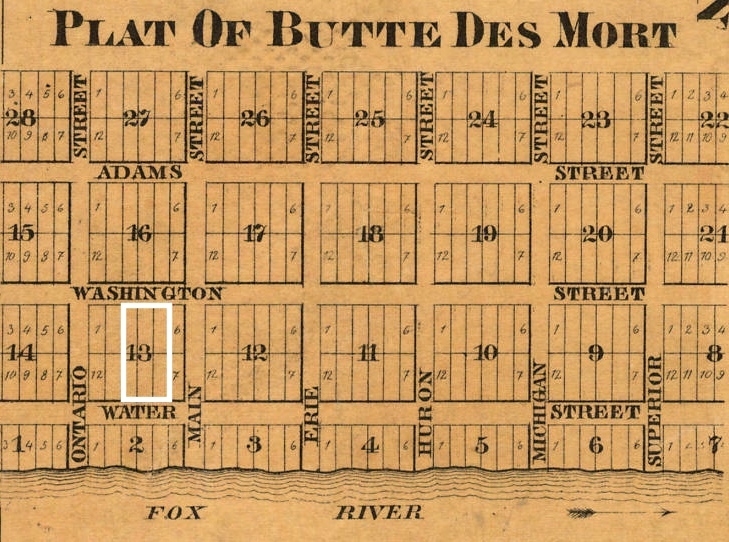 On July 10, 1865, Charles Rahr and his brother August purchased five acres of land on the shore of Lake Winnebago at the end of what is now Rahr Ave. 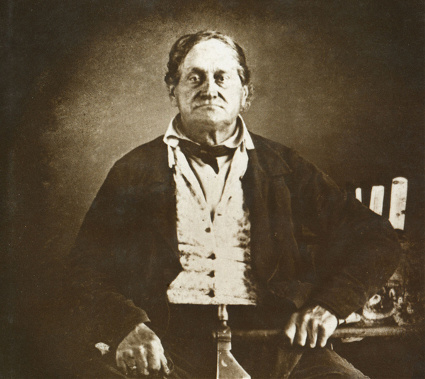 There, the German-born brothers built their brewery. The Rahr’s brewery would continue to pump out beer for the next 91 years. 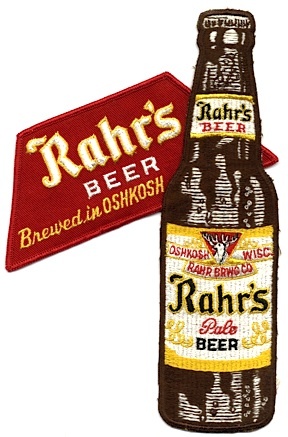 I thought now would be a good time to take a look back at the history of Rahr Brewing in Oshkosh. Here’s a four minute video I made last year that sketches that history. 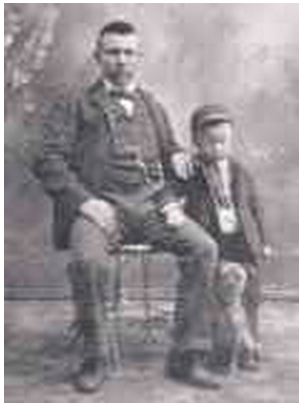 And just below the video, I’ll place a link that leads to more stories about the Rahrs and their brewery. 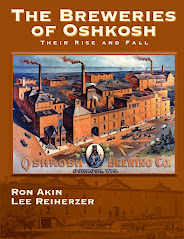 More stories about the Rahr Brewing Company of Oshkosh. Here’s Oshkosh Beer Show #004. This time, we’re joined by Oshkosher Jeff Potts as we drink Central Waters HGH APA.